WNN has reported the casualties at the Fukushima nuclear plants or that can be ascribed to the events at Fukushima Daiichi and Daini. Three TEPCO workers have died at the plants, one at Daini and two at Daiichi. 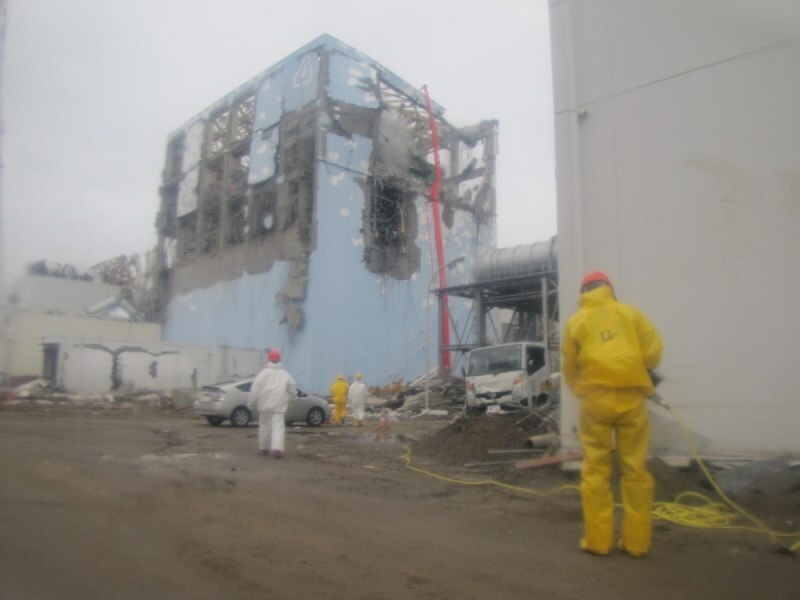 Two workers who were missing since the earthquake and tsunami March 11 were found dead in the -1 level (basement) of the turbine building of Unit 4 at Daiichi. According to TEPCO they had been "working to protect the safety of the Fukushima power station after the earthquake and tsunami." One worker died at Daini after being trapped with serious injuries in the crane operating console of one of the units during the earthquake. According to WNN these are the only deaths at Japanese nuclear power plants resulting from the earthquake, tsunami and nuclear emergency. Since the earthquake 370 workers have been working at Daiichi to stabilize the damaged reactor units. Of these 21 have experienced radiation doses of over 100 millisieverts (mSv). According to WNN nuclear workers are permitted to receive a maximum aggregate dose of 20 mSv per year. If that limit is exceeded in any year, the worker is relieved of nuclear duties for the remainder of the year. In an emergency safety regulators may raise the aggregate maximum exposure to 100 mSv. Above 100 mSv it is possible to begin to relate radiation exposure statistically to health effects, specifically cancer. March 16 Japanese authorities authorized exposures of up to 250 millisieverts because of the seriousness of the situation at Daiichi. WNN says that at this point no one has been exposed to an aggregate annual dosage of 250 mSv. To date "no effects on health or significant contamination cases" have been identified among the general public. The effects of prolonged exposure to elevated low level radiation on health is a controversial topic, but symptoms are not apparent immediately. We all experence exposure to background radiation which according to the US Center for Disease Control is typically about 3 mSv per year.